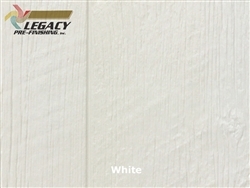 Prefinished LP Cedar Shake Siding | Legacy Pre-Finishing, Inc.
LP® SmartSide® Cedar Texture Shake siding is a great alternative to natural cedar shake shingle siding. 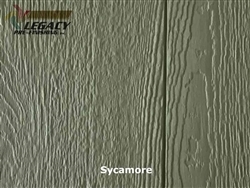 The realistic cedar texture makes this product ideal for use on any exterior wall adding a decorative accent that looks just like real wood. Easy to install, each panel has a shiplap end for a seamless installation and they are easy to handle at only 48 inches long. Can't make up your mind between staggered edge or straight edge? This is not a problem for LP Shakes as they can be installed in one direction for staggered edge or flipped 180 degrees to give you a straight edge appearance. As a new addition to the LP SmartSide line up, a Perfection Shingle panel is available which is knot free but has a great cedar texture look. These panels can be installed with a 5.5" or 6.5" reveal depending on your desired look. The texture is a fine sawn wood texture and the panels are very easy to install and come in 48" lengths. The colors you see below are our most popular solid and stain color options. 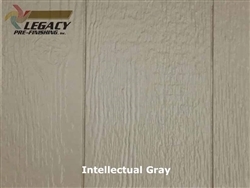 We are capable of producing these products in almost any solid or custom stain color you desire. If you find a color you absolutely love, let us know the manufacturer and color name and we will use that color for your siding. All orders will require a signed proof before any production begins. Custom colors will extend the lead time as proofs will need to be produced and approved. Call us if you have any questions and our knowledgeable sales/customer service group will be happy to assist you. We highly recommend that these shingle panels be installed by a company familiar with the products and follow the guidelines per LP's website. Call us at 704-528-7136 or fill out our Information Request Form to have a sample mailed to you. Available in Staggered or Straight Edge Shake Panel. Beechnut Stained Staggered or Straight Edge Shake Panel. Hemlock Stained Staggered or Straight Edge Shake Panel. Available in fine sawn wood texture with no knots. All products are prefinished to order.